Choosing Tanda means choosing to get your time back. Time you can put into great things. Like expanding your business. Creating new products. Getting an hour of r & r. Anything but manually organising your team. That’s why we say ‘automated’ a lot in these posts. So this February, we’ve got time-giving updates we think you’ll love. Smart Templates is the newest step we’re making towards not having to do all that. 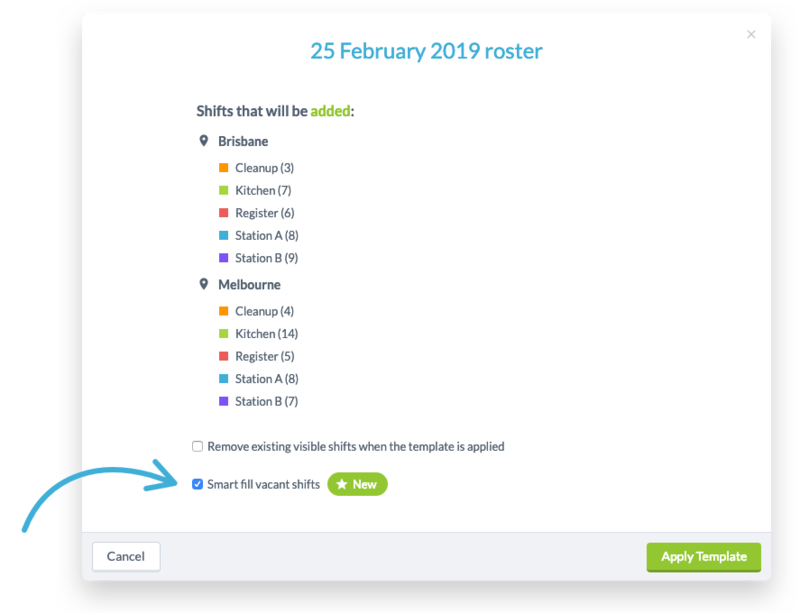 Use this feature when you’re applying a roster template. When you use Smart Templates, Tanda’s algorithm decides on the best person to fill a vacant shift. Sounds interesting? Learn how it works. The new combined leave and unavailability calendar. 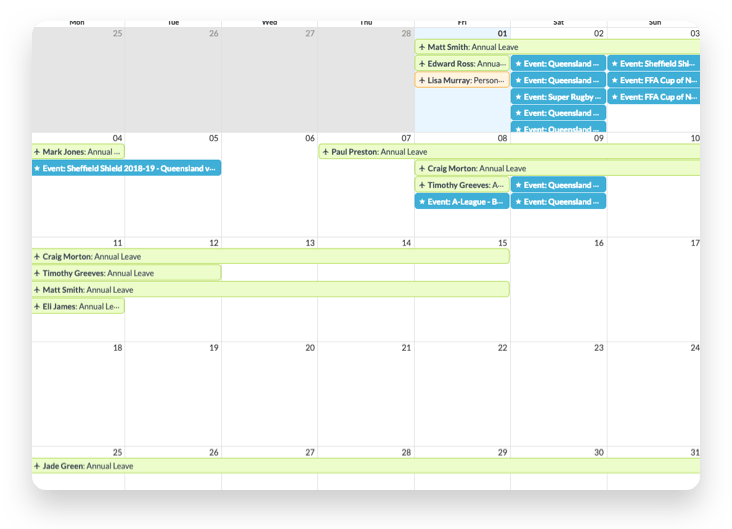 Leave and unavailability are now in one Time-Off Calendar! Need to know when staff can’t come to work? No need to flick between two calendars. It’s all in one place, and you can see what type of time off they are taking. These smaller updates can create huge improvements to the way you run the team. A screenshot of raw downloaded roster data. Customise and print your roster exactly the way you want it. Tanda now lets you download raw roster data into Excel. Whether you want to fit the whole thing into one page, or would rather not show the hours each employee gets, the power is all yours. Go to the roster tab on Tanda and click the print icon. The Public Holiday Surge: unusual sales data skewing demand prediction? Christmas Day shutdown or the Boxing Day surge are not representative of typical sales. 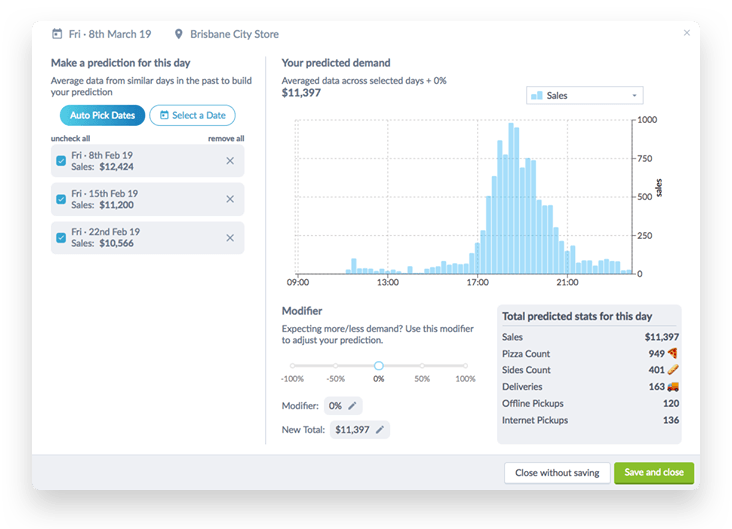 Our new Demand Prediction Modal highlights potential outliers like these. Now, you can see the culprits more clearly, and remove them from skewing your demand prediction. Try it out by going into your current roster on Tanda and click on any day. Remote clock-ins: Clock-in anywhere through the mobile app. With GPS tracking. Tanda Chat: Stay connected to your staff — all within Tanda. Shift Replacements on Desktop: Request and approve shift replacements on the desktop version. Emerson is a Product Marketer at Tanda, with a background in interactive design and advertising. He works closely with our brilliant Product Managers to keep you informed of the new ways Tanda is helping businesses build successful teams.